Often the vacation starts with a very long flight. 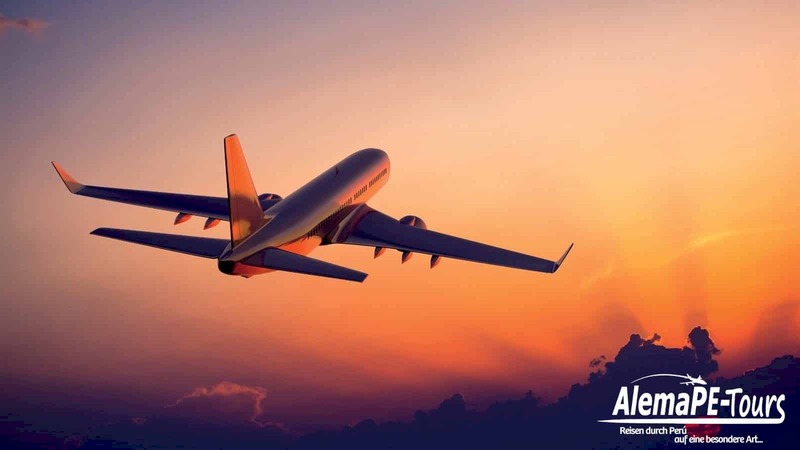 So that this is not an endless strain and you need the first days of their long-awaited vacation just to recover from the flight, just take a few of our tips. If you are flying to a country warmer than at home, we recommend that you dress according to the onion principle. Over a T-shirt you can wear a sweater and it still fits a cardigan or the like. The main thing is that you feel well and the clothes do not pinch or pinch. During the flight it is usually not too cold and at the resort jacket and sweaters are taken off quickly – so you do not start sweating right away. If it gets really cold on the plane or you freeze fast, just ask the crew for a blanket. The shoes worn in the aircraft should also sit loosely and also not press. Many people swell their feet easily on the way. If you want to take off your shoes on board the aircraft, keep warm socks in your hand luggage. The air humidity in airplanes is very low, therefore her body dries up quickly. Buy a water bottle in the duty-free area after the security check and drink again and again during the flight so that your fluid balance does not suffer too much. Avoid alcohol and coffee in the air. These drinks deprive the body of water. One problem that almost all passengers have to deal with is the pressure difference during the flight. The consequences include pain in the ears, but also pressure feelings in the paranasal sinuses or behind the eyes. Especially cold travelers can suffer from severe pain. To compensate for the pressure differences quickly, there are a few tricks: chewing gum. The chewing movements balance the pressure in the ears. Sweets and drinks fulfill similar purposes. Just try out which variant works best for you. There are also special earplugs for air travel. These ensure that the pressure change in the ear is slower and can thus adapt naturally and often unnoticed. Travelers with colds or sinus infections will benefit from a nasal spray with a decongestant effect at the start. The nasal mucous membranes swell and allow better pressure compensation. Children and babies should drink or eat just when they take off and land. Thromboses are blood clots that form due to lack of blood circulation, especially in the veins and, if they migrate through the bloodstream, can cause heart attacks. Unfortunately, thrombosis in high-risk patients can quickly develop if they sit immobile and with their legs crossed on the plane. Such risk patients may be people with diabetes, vein weaknesses, but also users of the pill. However, it is possible to minimize the risk of thrombosis by some means. So it helps already, not to overturn the legs as possible, so that the veins do not bend unnecessarily. Anyone who moves their legs regularly, ensures better blood circulation. Such movements can be on and off the calves, but also on foot circles and many other exercises. And last but not least, special support stockings can help to prevent the dangerous thrombosis – even if many people perceive that as unpleasant. Here are exercises that you can use on the plane. Sleeping on the plane can be a great way to spend the time of a long and exhausting flight. In order for sleeping to work, you should definitely bring a few things on board: noise-absorbing headphones, blindfolds and neck pillows increase comfort and make falling asleep easier, even in economy class. An MP3 player with relaxing music or an audiobook also help. If you have booked a night flight, sleeping in the plane also helps against jet lag. After the flight, many travelers feel struck down and have to adapt to time shifts. This often causes a tiredness, which negatively influence the first days of the holiday. But even a jet lag can be counteracted. So travelers should sleep well before the flight, if possible, but not sleep on holiday before it is there evening. In this way, the body will adapt better to the local time. Also, a lot of outdoor exercise eliminates fatigue and reduces jet lag. After a short time, the organism has adapted to the new time zone and is again fully capable. In the hand luggage usually notebooks, mobile phones, digital cameras and MP3 players are allowed. Not allowed are weapons, sharp or sharp objects such as knives, nail clippers or manicure sets, pressurized containers that could explode and flammable substances such as lighters and matches, nail polish removers and pepper sprays. Toy pistols and sporting goods such as baseball bats, hiking poles, ice skates and fishing accessories are usually not allowed in hand luggage. Prams can often be taken to the aircraft and handed over to the flight crew. At the destination they will be handed over again. The size and dimensions of hand luggage are determined by the airlines themselves, as is the case with the baggage and excess baggage regulations. The IATA (International Air Transport Association) issued a recommendation that the hand luggage should not be bulky than 56cm x 45cm x 25cm. Also in terms of weight, the airlines make their own rules. For most airlines, hand luggage may weigh 6 or 8 kg in Economy Class. More detailed information should be obtained directly from the airlines. The rights of air passengers are enshrined in the so-called passenger rights regulation of the European Union. This (EU Regulation 261/2004) states what services airlines have to provide to their passengers in the event of a flight delay or even a flight failure. If the delay lasts longer or if the flight is canceled, the airline must provide you with accommodation and transfer there. In addition, you will be entitled to staggered compensation of between € 250 and € 600 starting from three hours. The exact altitude depends on the flight kilometers you wanted to cover. To claim your rights, you must submit them in writing to the airline. Let the delay be confirmed at the airport and keep all important documents. Here you will find a link to the german Luftfahrt-Bundesamt with further information.